A PopCap survey indicates that people who cheat in social games are far more likely to cheat in the real world too [especially in the U.K!]. Does this really come as a surprise to anyone? A recent survey of social gamers in the U.S. and U.K. conducted by PopCap found that the vast majority of gamers don't use hacks, bots or other cheats while they play social videogames, but among those who do, the tendency to cheat in other aspects of life - "real life," you might call it - is much higher than it is in people who play by the rules. 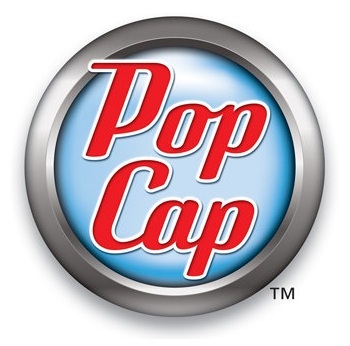 PopCap used 1201 "qualified responses," 801 from the U.S. and 400 from the U.K., from people who play social videogames for more than 15 minutes per week. Only eight percent of respondents admitted to using cheats on an occasional or regular basis, although the percentage of cheaters was substantially higher in the U.K. - 11 percent - than in the U.S., at 7 percent. And while social games are sometimes seen as the domain of female gamers, men actually represent the majority of cheaters, albeit a rather slim majority of 54 percent. Youth is also a factor, as nearly three-quarters of the admitted cheaters are under 40 years of age. And now, the unsurprising bit: social game cheaters are a lot more likely to play dirty in the real world than their non-game-cheating counterparts. 53 percent of game cheaters admitted to cheating on tests in school, compared to just 16 percent of non-cheaters; 51 percent say they park in handicapped parking spots despite not being handicapped, something only 12 percent of non-cheaters do; and 43 percent copped to cheating on their taxes, versus 8 percent of the non-cheaters. "How we behave in virtual space and interact with others in social games often mirrors how we act in the real world," explained North Dakota State University Professor Clay Routledge. "With more than 100 million people playing social games regularly, we can expect to see the full range of psychological characteristics represented in the social gaming population - even cheating." It's also interesting to note that while cheaters are underhanded dirty dealers, they're also more than twice as likely to spend real-world money to by in-game currency - 55 percent to 23 percent - and to buy "virtual gifts" for other people - 66 percent to 29 percent. 79 percent of cheaters also say that game makers should monitor online games for cheaters and ban those who are caught, compared to 36 percent of those who don't cheat. That's kind of weird on the surface but likely just reflects the fact that only 41 percent of non-cheaters are even aware that hacks, bots and other such things even exist.